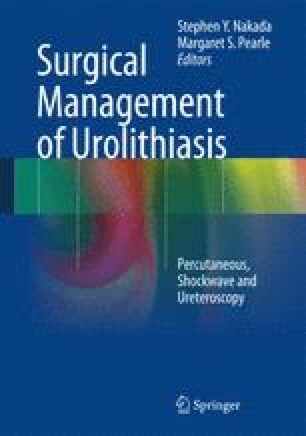 Percutaneous nephrolithotomy (PCNL) was established as a reliable treatment of large stone burden several decades ago. PCNL technique continues to evolve, with consistent goals of decreasing morbidity and maximizing efficiency and cost-effectiveness. One key aspect of PCNL that has been the subject of debate and investigation is the method of postprocedure drainage. In the chapter to follow we review these modifications including tube size and type, tubeless with various types of internal drainage, and the totally tubeless PCNL. We conclude with a summary of the hemostatic agents used in the PCNL tract instead of external drainage.